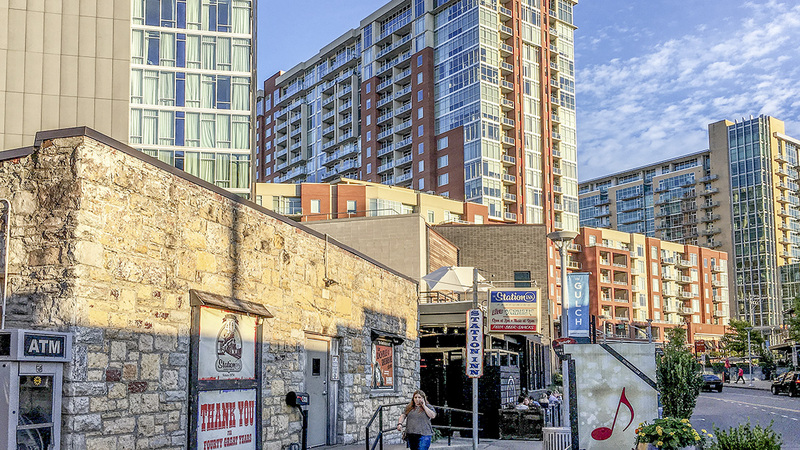 This neighborhood in downtown Nashville takes its name from the prominent natural depression that marks the local topography. 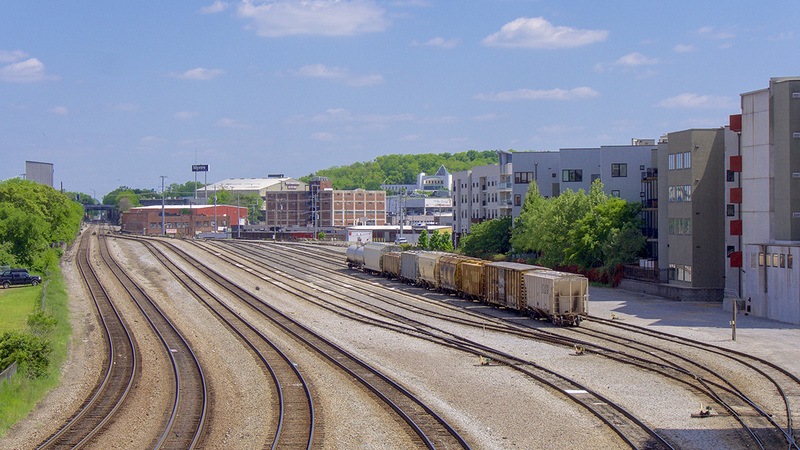 Initially defining the western edge of town and growing in tandem with the introduction of the railroad, the area was home to five train lines by 1861. By 1896 it had developed into a massive railyard with some three dozen tracks. 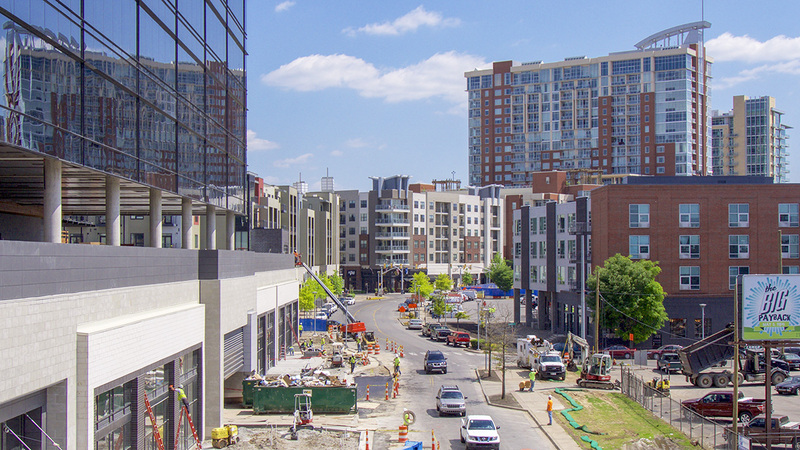 After experiencing a general decline in the wake of World War II and having fallen into a state of neglect by the 1990s, the once industrial neighborhood was revitalized beginning in the mid-2000s beginning with a master plan overseen by Urban Design Associates. 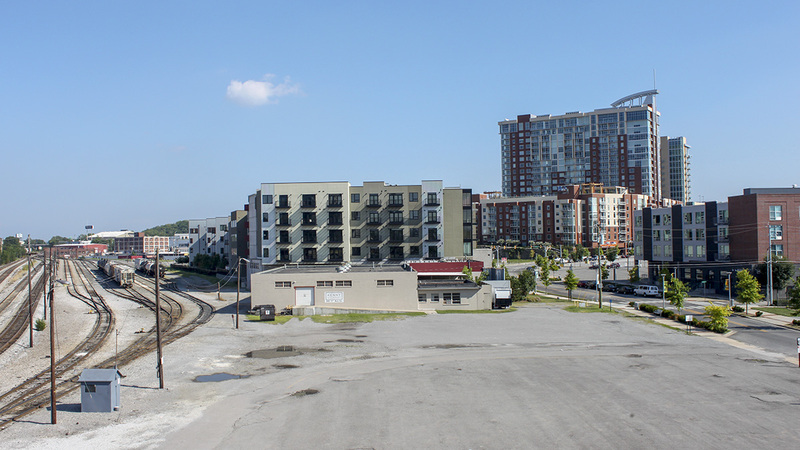 Separated from the curve of I-65 and I-40 by a thin strip of green space, the Gulch district extends from Broadway in the northwest to the CSX rail line in the east. Streets in the northern part of the district are rectilinear, while those in the south reflect a somewhat more organic layout. 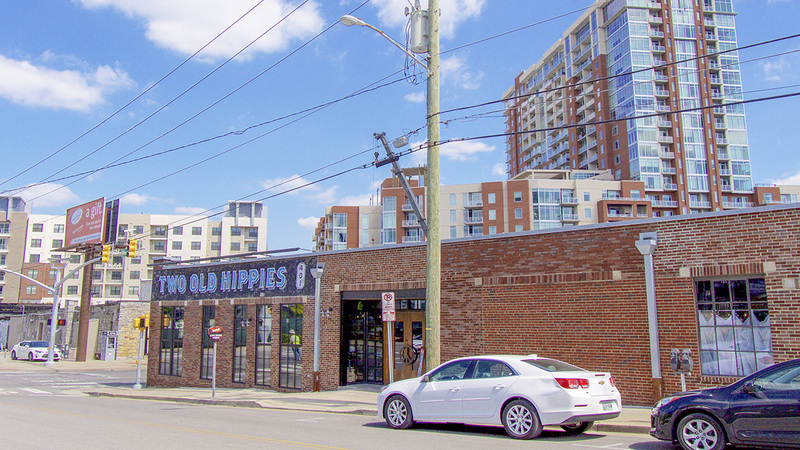 The neighborhood’s main thoroughfares are Demonbreun Street and Division Street, running from west to east, and Eleventh and Twelfth Avenues, running from north to south. Once bordering a cluster of empty lots and abandoned warehouses, many of the streets are now lined with recently planted linden, elm, oak, and zelkova trees, while planters edging outdoor eateries and other venues display herbaceous flowering plants. As part of the revitalization efforts, several industrial buildings and warehouses were converted into office uses. 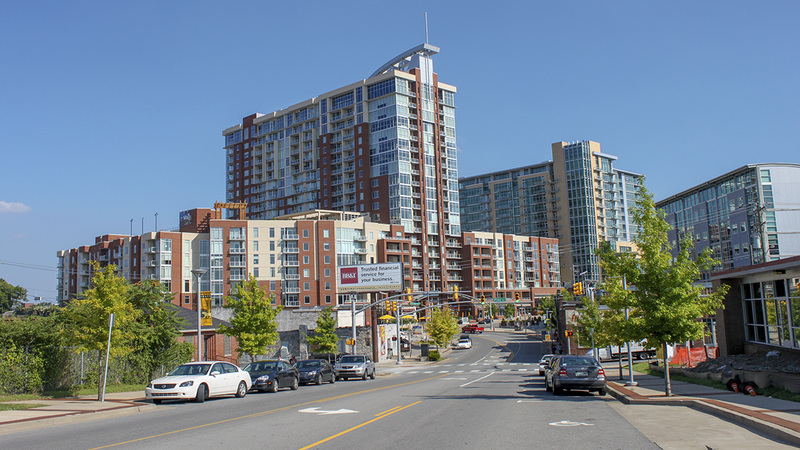 Newer buildings, such as the 22-story, glass-and-brick-clad ICON (2008), also evince the area’s growing popularity as a mixed-use community. Reflecting a desire to connect the low-lying district with surrounding neighborhoods and increase open public spaces, a pedestrian bridge is planned to extend from the train tracks to the South Broadway neighborhood.